Recently Federal Court Judge Korman ordered the FDA to release Plan B Levonorgestrel Emergency Contraception for sale over-the-counter to all including minors stating that the studies showed it to be effective and safe. Interestingly the Judge offered no data or referred to no specific study which demonstrated his assertion. In fact, anytime the assertion of safety is made it is general. When one digs a bit deeper we see more propaganda than rigor. 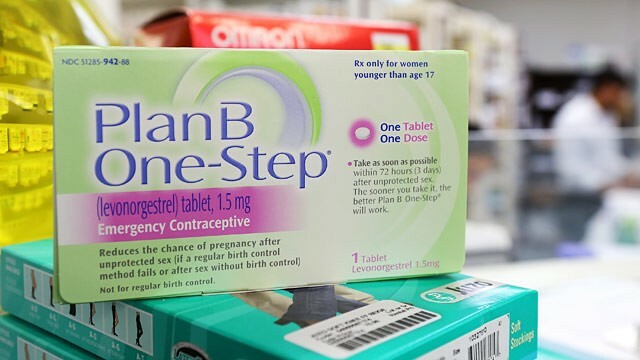 Let us explore what we know about the safety and ‘efficacy’ of Plan B or Next Choice progestogen only emergency contraception. Some important facts to keep in mind when engaging this topic: 1) The start of ‘pregnancy’ has been arbitrarily changed from fertilization to implantation of the embryo in the uterine lining, 2) There is currently no way to know at this point if fertilization has in fact occurred prior to taking Plan B, and 3) There is no objective and consistently used method of evaluating pregnancy risk prior. Given these three very important facts it is difficult at best to determine if Plan B actually is effective at preventing fertilization or is actually disrupting a very early pregnancy. Anyway, the National Institutes of Health (NIH) houses several studies performed in the last several years that seem to diverge from even NIH’s official positions. The majority of the recently published studies regarding the efficacy of Levonorgestrel at preventing ‘unwanted pregnancy’ either fail to demonstrate use of an acceptable standard of evaluating baseline pregnancy risk and/or give no rationale for their assertion that the drug does not prevent implantation. In fact, some studies that do assert effectiveness for ‘pregnancy prevention’ demonstrate it beyond 72 hours which would lead one to think that interruption of pregnancy post fertilization is occurring. And as for safety, NIH notes that progestogen only contraceptives like Levonorgestrel are noted as ‘possibly carcinogenic to humans’ http://toxnet.nlm.nih.gov/cgi-bin/sis/search/r?dbs+hsdb:@term+@rn+797-63-7 despite the recent government or pharmaceutical backed studies unsubstantiated blanket assertions to the contrary. The real clincher though is that there are absolutely no peer reviewed studies that demonstrate either efficacy or safety for girls who take adult dosages of this synthetic steroidal drug outside the continuity of care of a responsible physician. But that does not seem to matter either to Planned Parenthood’s Cecil Richards or Judge Korman. Ah, the effect of propaganda on ethical clinical medicine.